The Jedi Order had been around for quite a long time before the Emperor decided, "well, that's enough of that" and started working at getting rid of them all. Sure, he got a lot of them right away with Order 66, but remnants of the Jedi Order were all over (galaxies are pretty big places, after all). But he couldn't just be running off on his own to take care of it. There were more important things to do. So he took a fallen Jedi and turned him into his Grand Inquisitor. 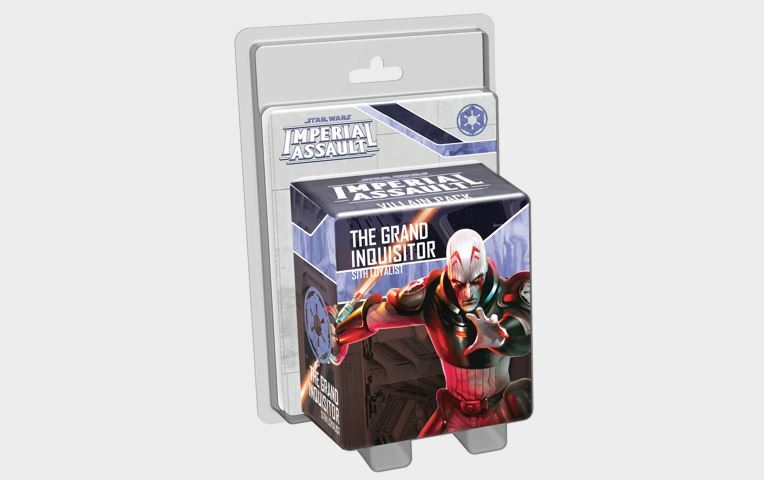 Now, that Grand Inquisitor is making his way to the tabletops of Imperial Assault. As always, you get extra missions and quests, along with the new plastic figure to add to your game. 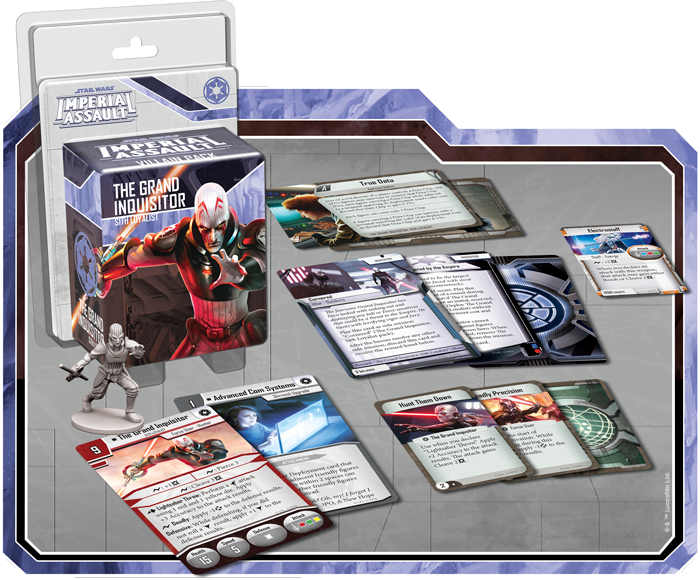 As for the Inquisitor, himself, you might think that being armed with a lightsaber would make him solely a melee-oriented character. Au contrere. Despite the obvious dangers of throwing (and subsequently having to catch) a double-bladed lightsaber, that's just with the Inquisitor can, and possibly will, do during games.